Maruti Suzuki Baleno RS: With a successful landing of hatchback Baleno in India in 2015 by Maruti Suzuki has become one of the best-selling cars after Swift. Not only the company’s own manufactured car Swift, but also sits above other rivals like Hyundai Elitei20, VW Polo, Fiat Punto, Honda Jazz, etc. Now, the Company is getting ready to launch a more powerful and efficient 1.0 liter petrol three cylinder engine options with the Baleno called “Baleno RS” which is expected to launch in March 2017. It was showcased as a concept earlier last year at the 2016 Auto Expo. The all new variant of Baleno RS is a sportier look of existing Baleno. The new model comes with 1.0Power Booster jet engine which delivers 110PS and 170 Nm torque in the UK-spec. The version also claims a top speed of 199kmph and a 0-100 kmph sprint time of just 11.0 seconds. The engine of the car will be good to deliver 75kW (101hp) at 5500rpm and 150 Nm at 1700-4500rpm. Transmission options on offer will be 5speed manual as well as a 6-speed auto. The company claims its expected mileage to be in the vicinity of 20kmpl. Talking about the exteriors of the car, they are as same as existing Baleno somewhat because the same design language is seen on the standard Baleno. Based on the Liquid Flow design philosophy, some of the exterior features are- projector headlamps, LED DRLs, optional 16 alloy with wider 195/55rubber, LED tail lamps, chrome slat at the rear, V-shaped grille, wider air dams in the front, new exterior colour options, new alloys, side skirts, black mesh in front grille, etc. Now come to an interior design that is also same like the old version. Interior design remains same. 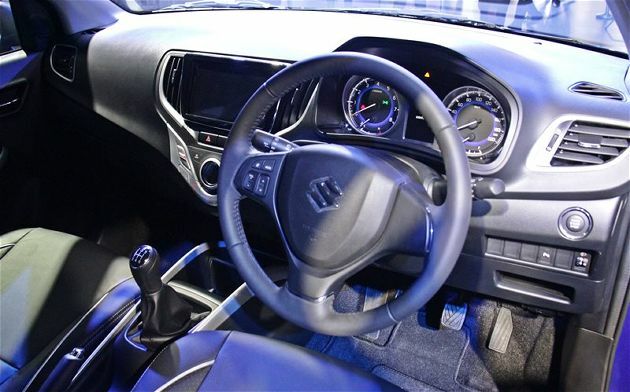 It will get all-black interiors with Smartplay touchscreen infotainment system, steering mounted controls, Auto AC, airbags, ABS, keyless entry, start/stop, power windows, etc. It manufactures at the company’s plant in Haryana. Maruti Suzuki is the sole manufacturer of Baleno in the world as of now. 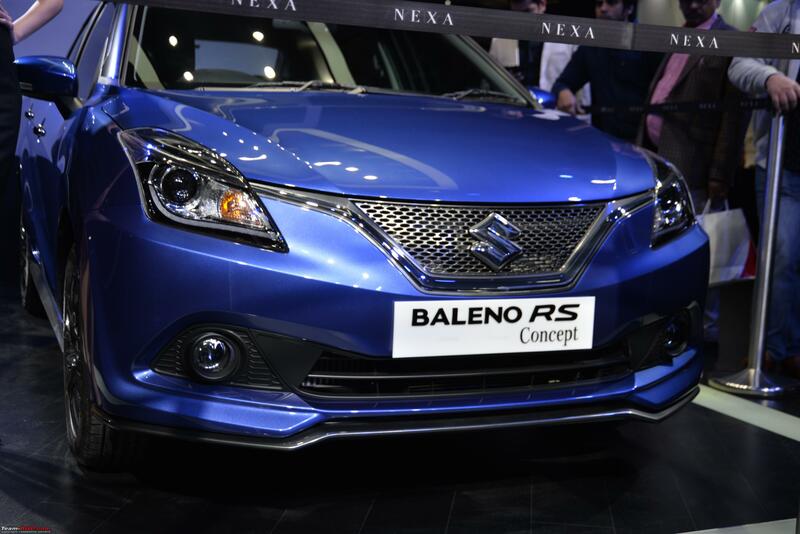 The company had celebrated a successful launch of India-made Baleno in Japan.